There’s a great deal of information on the web from SEO companies about techniques used to obtain top rankings. In many cases, these are “catch-all” procedures that don’t necessarily apply to a particular site and as a result don’t have all that much effect on its position. Fully realizing that all web sites are not equal in construction, content and purpose, we have created a family of SEO packages that can be adapted to most sites and budgets. Each of our packages are tailored to a specific type of application based on the type and structure of the site. Simply put, an existing site requires a different group of SEO tasks than does a redesign, or what is needed for a completely new site. Also, small informational sites have different requirements than do large corporate site or e-commerce sites. Our packages can also be custom designed so that you only pay for what you need. All of our optimization packages have one goal in mind: to produce positive and long-lasting Search Engine ranking results. For more information on our SEO packages, or to request a customized package, use the form on our Contact Us Page and we will provide a prompt reply. Standards compliant, semantic, CSS-based design: web design may not be an optimization technique in the strictest sense, but having the groundwork for SEO is essential in implementing best practices is much easier and has proven to be more effective. Optimized tags – proper use if IMG, ALT, TITLE, H-Tags, STRONG, etc: We build a great number of tools into the HTML (the building blocks of every web page) for improving search engine visibility. We make sure the right ones are used and that they are used the right way. SEO friendly URLs: Search engine robots are currently able to read the actual file name and address of any given web page, so robot friendly filenames helps to aid the process of optimizing a site. Robots.txt file: This is a file that resides on a web site that instructs search engine robots how to read the site, what to index, and what to avoid. We make sure this file is constructed and set up properly. This package takes the Nuts & Bolts package a step higher. It provides all the benefits of solid web site design, along with essential SEO tasks for working towards a powerful presence in the search engine results. Nuts & Bolts Package: Included are all the features that are performed in the Nuts & Bolts Optimization Package. Optimized titles, META content, body text: We will consult with you on how you want to be found – what search terms you would like to use as well as researching what terms your competition is using. We will also research additional successful search terms and build them into the appropriate site elements. Generate and submit XML site map: Modern search engines rely on this specialized file to assist them in indexing your site. We will create a site map and ensure that it’s being found and used properly. Integrate Google Analytics: This is one of the industry’s favourite tools for acquiring site statistics. We’ll set your site up to receive data from Google Analytics and enable you to receive reports by e-mail or on the web. All elements from the Nuts & Bolts/Jump Start packages: The tasks in these packages are proven performers that lay the groundwork for a solid SEO upgrade. Site restructuring: Armed with knowledge of what types of structure and content that effectively draws the attention of search engine robots, we will assess your site and make recommendations on the best procedures to include in your redesign. URL Redirect/Rewrite rules: We will research external links coming to your site to determine if they go to pages that may be eliminated in the redesign. This will cause broken links that can have a negative effect on your ranking. We will ensure that such links are redirected to the appropriate section in the new site. The best way to keep a search engine ranking strong is with regular maintenance and monitoring. We offer a number of ongoing tasks to supplement the initial optimization work that we’ve performed on your web site. Generate and analyze Google Analytics reports: Collecting the data about site traffic is only important if you know what to do with it. We can assemble a package of regular updates outlining what the numbers mean and how to keep building on them. Web site update strategy: Consistently delivering fresh site content is a proven way of boosting site traffic which in turn has shown to have a positive effect on ranking. We can develop a plan for creating and implementing appropriate updates to your site. Online marketing strategy: Increasing your company’s or brand’s exposure in any market drives up the public’s awareness of it. 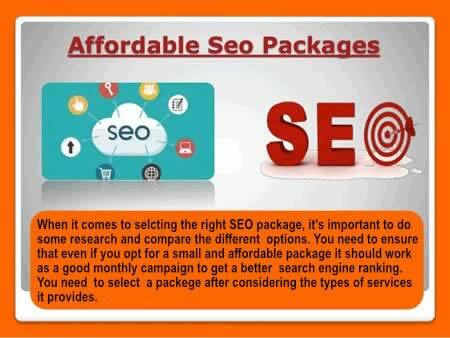 Similarly, increasing your web site’s exposure on the internet will boost its visibility among search engines. We establish plans for continually generating that kind of exposure, strengthening your site’s ranking. Social media integration: Many companies use social web sites such as Facebook and Twitter to their advantage to gain a whole new area of exposure for their business. Given the number of people all over the world using these social aspects of the web, and given the variety of options to tap into this massive network, we can develop a social media integration plan to suit most businesses. RSS feed creation: A proven means for delivering your content beyond the boundaries of your web site. As an ongoing task, we would establish a feed, ensure that it is consistently providing up-to-date content and getting it to the right channels.